SACRAMENTO — Gov. 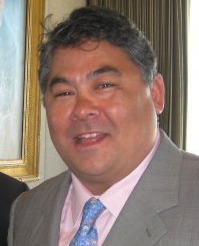 Jerry Brown on May 8 announced the appointment of Phil Tagami, 47, of Oakland to the California Medical Board. Tagami has served in multiple positions at the California Capital and Investment Group since 1992, including president and CEO. He worked in public service for over 20 years, serving in various municipal and state appointments, including chair of the California Lottery Commission from 2012 to 2013, member of the California Transportation Commission from 2008 to 2009, member of the California State Park and Recreation Commission from 2003 to 2006, and member of the California State World Trade Commission from 2002 to 2003. Tagami also served on the Oakland Landmarks Preservation Review Board from 1994 to 1996 and the Oakland Environmental Affairs Commission from 1992 to 1994. This position requires Senate confirmation and the compensation is $100 per diem. Tagami is a Democrat.